Can They Put a Lien on My Mother's Home While They Contest Her Will? Unfortunately, the fact that your mother left a will does not guarantee that all her loved ones will adhere to the wishes she expressed. Family or friends who do not believe they were justly provided for in her will may have the right to legally contest it – effectively preventing legitimate heirs from selling or transferring property until the court resolves the issue. Although a real estate lien does not prevent you from selling your mother's property after her death, it can make it more difficult to do so. A real estate lien encumbers the home's title. You cannot sell the home without first paying off and removing the lien. If you do not do so, the creditor that originally filed the lien has the right to foreclose on the property. A family member's disagreement over the contents of your mother's will does not give him the legal right to file a lien against the property she left behind. Real estate liens are tools creditors use to collect unpaid debts – not tools that individuals can use to freeze property while contesting a will. In order to file a lien against your late mother's home, an individual would need to win a lawsuit against her for an unpaid debt. Your mother's failure to leave loved ones what they believe they deserve does not constitute a valid debt. An individual cannot contest a will without a valid reason. What constitutes acceptable grounds varies by state but, in general, an individual cannot simply contest a will because she is unhappy with the way your mother chose to distribute her assets. If a loved one has a valid reason to contest the will, such as the belief that your mother was not of sound mind when the document was created, she can bring up her concerns to the court. State laws vary, but the probate court handling your mother's estate may freeze her assets upon receiving a legitimate complaint. If the court freezes your mother's assets, you cannot sell or transfer any property she owned – including her home – until the probate court conducts a hearing to resolve the issue. If a title search of your mother's home turns up a real estate lien, don't assume the lien was filed recently. Each state sets its own validity period for liens, but real estate liens are often valid for up to ten years or longer. 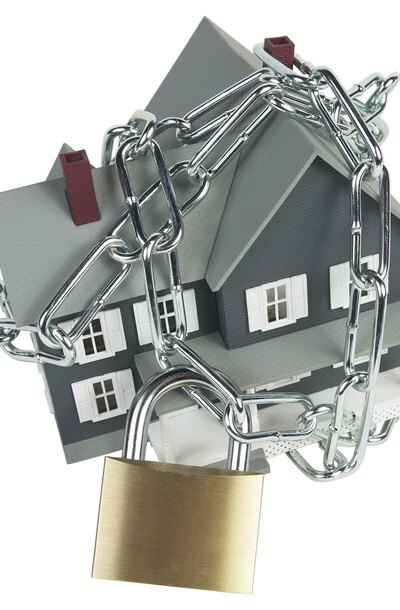 Real estate liens attach to the debtor's property – not the debtor. Thus, any pre-existing liens on your mother's house remain valid after her death. Unless the laws in your mother's state require the probate court to pay off property liens after her death, the liens will remain attached to the home until the heir who receives the property pays them off or until the lien validity period expires. If a person dies while owing you money, you may file a claim against the deceased's estate in probate court. Filing a claim doesn't guarantee you'll get your money, but it does notify the court and estate representative of the debt. Once you file the claim, the court must consider the debt and whether the estate can afford to pay it. Since states have different deadlines for filing creditor's claims against an estate, you must file your claim as soon as possible to protect your rights.